Nicholas Goh, CEO of Verztec, gives his humble take on up-to-date business happenings, offering insightful views and interesting anecdotes of today’s fast-changing global business landscape. These articles are only available in English. Now, more than ever, companies are doing everything possible to provide an ideal work environment that attracts new talent and retains good ones. CEO of Verztec Consulting, Nicholas Goh shares his experiences and a tip sheet on the importance on educating, empowering and enabling employees to gain financial wellness – as well as achieving this year’s corporate financial goals. Artificial intelligence (AI) is evolving at such a pace that that we see the fruits of this labor in almost every sector across the world. CEO of Verztec Consulting Pte Ltd, Nicholas Goh, offers his take on the power of AI in Singapore’s workplace today, with some tips to embracing AI without being replaced. Amongst the many challenges facing leaders today is the war on talent, and developing transformational leaders to drive innovation and growth for their business. Does forgiveness exist in the workplace in today’s highly disrupted and fast changing world? Would a business truly benefit from having an authentic culture of forgiveness modeled by leaders and in turn reap the benefits of higher employee engagement, higher productivity and higher profits? Find out more, and get a tip sheet on how forgiveness can be a powerful business tool. The Gig Economy: What Does It Mean for the Future of Work? There have always been part-time workers and freelancers that contribute to the economy. With new apps like Uber, the gig workers are on the rise. In London, the gig economy has grown by 72% in the transport and storage sector since 2010. What does it mean for the economy, Singapore and the Future of Work? 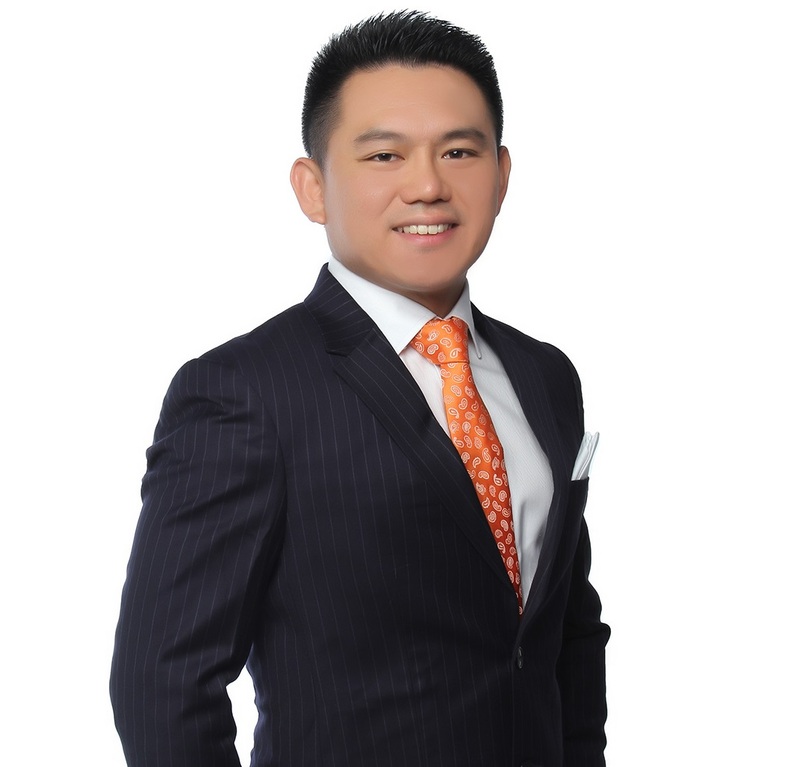 CEO of Verztec Consulting Pte Ltd, Nicholas Goh offers his insights. Hiring the best person for the job isn’t easy, but finding a person who loves to learn seems to be one of the most important things to look for. In this article, CEO of Verztec Consulting Pte Ltd, Nicholas Goh, provides a tip sheet as to how one can hire people who have a learner attitude. Find out more, and get a tip sheet on hiring the best employees. Different people have different thinking styles? Nothing new about this. Yet in recent years, there continues to be research about how thinking styles can impact your business, because when forming a team, you need the right mix of people with different thinking styles to best achieve workplace goals. Find out more, and get a tip sheet on how understanding different thinking styles can help one alot at work. Could something as simple as holding a conversation with your employees be the key to more satisfied and engaged workers? Is there a need for more conversational communication in the workplace? Find out more, and get some tips on how to implement better dialogue. To Text Or Not To Text a Client? Text messaging (or texting) has become a part of our daily lives; we seem to be glued to our mobile screens 24/7. While emails continue to dominate e-communication in the workplace, there is a growing prevalence of texting to clients. How did this happen? Is it the right way to go? Read the article to find out more. Are work relationships between colleagues souring due to gossip? Toxic staff behaviour, such as the dislike for one’s boss, dislike colleagues of other departments or office politics, is one of the main causes of low staff morale and unproductivity, Forbes suggests (Hall, 2011). Find out more here. A fever-stricken employee takes a day’s medical leave. The next day, the department is chided for taking too many days of medical leave a year, and using them to get out of work. Such incidents are common in many workplaces. They demonstrate a lack of trust between employers and employees, and could affect trust between co-workers. How does work culture affect trust? How is trust gained or lost? Take a look at these tips on building trust in workplaces. Every business needs a crisis management plan that guides C-level staff and employees during a crisis. Here is a tip sheet on what makes a plan intricate. During his Budget 2014 Debate Round-up Speech, Singapore’s Deputy Prime Minister and Minister for Finance Mr Tharman Shanmugaratnam spoke of the need for companies to raise the human capital in Singapore by investing in the people. Find out more about training employees for the greater good from this article. How do we recognise workplace bullying, and how do we draw the line between what is funny and what is offensive? When employees cry foul, are they being overly sensitive or do they have cause? Read the article to find out more. Disabled employees are an untapped pool of talents that can fill the manpower shortages of an increasingly competitive marketplace. Here you go some tip sheet for companies wanting to attract disabled talents and to create an inclusive environment that ensures everyone —– with and without disabilities, can come together and work as one. In today’s workforce, one issue that has arisen is a shortage of skilled workers to meet the demands of an ever-evolving and highly competitive marketplace. Employers should be delighted to know that there is still an untapped pool of talent: individuals with disabilities. Read this article to learn more about the said untapped pool of talent. As the trend towards talent analytics burgeons, HR personnel might just be looking for something more than confidence and a firm handshake for new hires. Read this article to find out what it takes to turn yourself into a sought-after hire. As technology and complexity of the world’s problems evolve, we require different and dynamic solutions to overcome them. To develop these solutions, our understanding of the world and the very basis of our learning have to change. In a previous installment, blended learning was expounded as the way forward for effective corporate learning. Now, let’s find out the practical tips for a well-executed blended learning program. With the advent of the internet age, our lives have been revolutionised. No longer are we satisfied with just formal lectures and downloading of generic knowledge; learning has to be bespoke and multi-dimensional. Read this article to find out the in-thing in corporate learning. As Rotational Leadership Programmes become the cornerstone of corporate talent development, being a newly-rotated individual has its inherent set of opportunities and challenges. Meeting high expectations and earning the team’s respect are just some of the challenges. Let’s examine how new leaders can excel each time they enter a new scene. Some companies call it their Rotational Leadership Programme, others the Emerging Leaders Programme or Futures Programme. Call it what you may, its success has been well-documented. From grooming potential talent who understand the intricacies of the business to producing top executive officers, such programmes are gaining momentum worldwide. Find out more about Rotational Leadership Programme in this article. Learn from this useful article why it is important and necessary to offer a native language experience for companies making international stride. Gen Y, having grown up in a world of technology and being more tech savvy can be ‘mentors’ and provide guidance to Gen X from this perspective, whereas Gen X’ers – having more on-the-job experience and knowledge could be great ‘advisors’ to the Gen Y. Find out from this article how Gen Y and Gen X coexist at the workplace today. Going Undercover – Working the Ground or Lack of Trust? It is observed that the television series has opened a discussion on the reality of having top management go “undercover” to know more about their employees. Read this article to find out whether top management going undercover is a matter of working the ground or lack of trust. Inspired by the Japan earthquake crisis, this tip sheet dispenses sound advice on what organizations can do to forge strong employee loyalty that withstands unforeseen circumstances. Going Global? Go Back to “School”! Did you know that when it comes to business networking, alumni associations are one of the untapped sources with immense potential? If you’re looking to take your business across borders, find out how exploring this area of contact can do wonders. You’ve heard of emotional quotient and intelligence quotient, but in the highly globalized world of today, another kind of quotient has come into prominence – cultural quotient. Discover what cultural quotient is and how you can increase yours in this article. The annual reports of today are not just a compilation of financial data for investors. They have evolved to become a powerful branding tool for companies. Get up to speed as we present the latest practices for annual reports. Many international companies are opting to localise their training courses for their globally dispersed staff. This useful article provides insider tips on what to look out for to ensure effective training content. Ensuring your company’s principles are effectively communicated among multilingual employees might just take you one step ahead of your competitors. Find out why. Companies with a global workforce need to manage employees across cultures, languages and borders. While this may seem like an uphill task, this insightful article examines how effective HRM can tackle the challenges deftly. Depending on the market you intend to enter, creating market-specific brands can be a cost-effective decision and a wise approach. Read on to find out more. Every festive season, a slew of media exuberantly rushes in where angels fear to tread. Nicholas Goh, CEO of Verztec Consulting Pte Ltd, a leading Global Content Management Services Provider headquartered in Singapore, provides a tip sheet for businesses on how to not allow the fierce battle for attention crowd out their own promotional campaigns. Enrich your business networking skills by tapping into culturally-diverse communities. Discover how to appeal and cater to different markets. Your company can emerge stronger even in the face of recession. A list of methods on how you can do so is explored and mulled over in this commentary. How do you conquer the markets in Asia, where cultures and languages are diverse? This article elucidates the challenges and strategies you can utilize. Learn how to amplify your presence on the Internet through the use of a blog. The traffic you gain from this exposure could potentially boost you business. This article discusses some myths on the effects of diversity. Understand how to manage a team of different backgrounds to bring about cohesion and efficiency. The new generation of workers are known to be individualistic and brash. Read on to get a glimpse into their psyche and learn how you can retain them. Creativity has to be carefully nurtured and sustained, in order to see it reap benefits. This article shows how to turn the workplace into a hotbed of creativity. In today’s rapidly developing world, business entities are required to constantly create new knowledge. Find out how you can become a market leader with innovation. It has been recognized that successful branding is vital for a company’s growth and stability. Be enlightened on the various strategies you can apply to establish and strengthen your unique brand. Learn more about the strategies you can employ to not only attract the best personnel, but also gain their commitment and loyalty. The importance of effective communication is often understated. Improve your staff’s productivity by understanding how you can get engage them more efficiently. Jumping on the globalization bandwagon? This article gives you a glimpse of how you can do it while still maintaining your local clientele. Win your customers’ hearts and see your profits increase exponentially. Discover how you can milk this simple formula to your advantage. The advent of the Internet has made boundaries more porous, enabling businesses to reach into hitherto uncharted regions. Find out how businesses can harness the Internet’s full potential. Gain the trust of your clients and enhance your position in the corporate world. Learn about keeping businesses accountable through good corporate governance. Do you find it mind-boggling to handle a multicultural team? Read on for some handy tips you can use. My partner and I absolutely love your blog and find most of your post’s to be what precisely I’m looking for. can you offer guest writers to write content to suit your needs? I wouldn’t mind composing a post or elaborating on a few of the subjects you write related to here. Again, awesome web log! Wonderful goods from you, man. Articles from the CEOâ€™s Desk | Verztec Consulting's Official Blog I have understand your stuff previous to and you’re just too magnificent. I really like what you have acquired here, certainly like what you are stating and the way in which you say it. You make it enjoyable and you still care for to keep it smart. I cant wait to read far more from you. This is actually a wonderful Articles from the CEOâ€™s Desk | Verztec Consulting's Official Blog informations. Thank you very much for your comments and your support. I am glad to hear that my articles are useful to you. We welcome good articles contributed by the web community on selected basis. Check out the latest article contributed by Kyle Lagunas HR Market Analyst, Software Advice – Titled: Tips for Assessing Soft Skills Programs at the main page of Verztec Blog. Its an excellent article worth to read. great job with this. Additionally, the blog loads super fast for me on Safari. Thank you very much for your feedback. We will continue to provide useful content and do support us. Thanks! It’s the little changes that make the most significant changes. Thanks for sharing! What’s Happening i am new to this, I stumbled upon this I have found It positively useful and it has helped me out loads. I hope to give a contribution & assist different users like its helped me. Great job. the nice info you have right here on this post. Hey! I just wish to give a huge thumbs up for the good information you’ve here on this post. Thanks for the sensible critique. Me & my neighbor were just preparing to do some research on this. We got a grab a book from our local library but I believe I learned much more clear from this post. I’m quite glad to determine such fantastic information being shared freely out there.